Japanese plums tend to set more fruit than the tree can carry, which results in small, poor-quality fruit. Hand thinning will help to increase size of the fruit and improve the quality. Thinning can be done any time between bloom until just before harvest, but fruit size at harvest is generally directly related to the time of thinning. The earlier you thin, the larger the fruit you will have. Ideally, thin as soon as you can see the developing fruit on the tree. Space fruit about 4 to 6 inches apart on the branch and break up the fruit clusters. Focus on damaged fruit first. 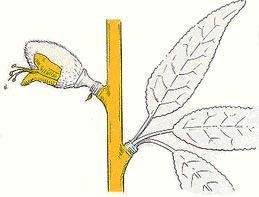 Then remove fruit at the ends of branches that may be weakened by heavy fruit. European plums do not require extensive thinning unless fruit set is very heavy.